We've all seen the epic night surf scene in Point Break, right? Always night surf with friends. It's a bit dangerous out there because you often can't see the waves or other surfers until they're a few yards away. You need guys around you to keep an eye out in case something should happen, and vice versa. But how do you see your friends in the dark? Bring glowsticks! Tip #3...I realized this on my last paddle out when a few guys had glowsticks, but my crew did not. When one of them dropped in, it was easy to see. When I dropped in -- not so much. There were a couple collisions that almost occurred that could have been easily preventable with a little illumination. 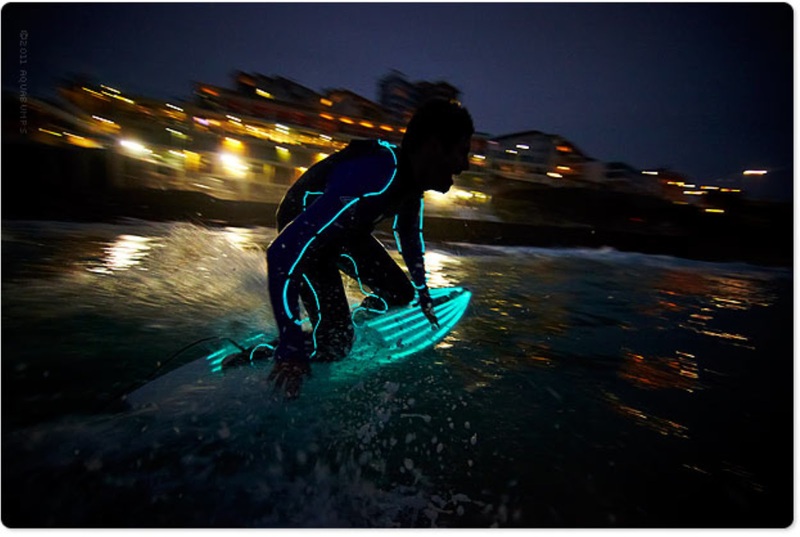 If you want to take it even farther, try buying these neon wires and strapping them to your boards and wetsuits for a very Tron-esque surf session. Get to the break before the sun sets if you can, so you can see how the wave is breaking that day. Even at a familiar break, it's always good to take a look in full light in case the particular swell is bringing something unexpected. Also, check ahead for tides and swell direction so you're well-informed. I know that is normal surf routine, but the stakes are higher for a night surf if you're not prepared for the conditions. 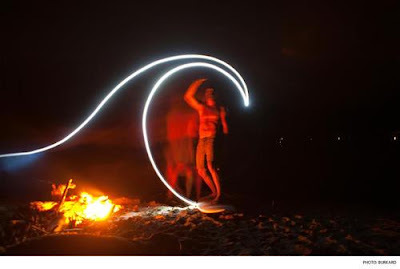 Share you night surf stories below! Last time I went out, I thought I saw a ghost (but I think it was a buoy)!